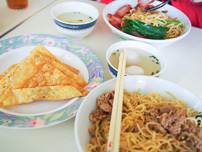 We love the Chinese sub-genre of Indonesian food, chicken noodles in particular. So when we get a bunch of reader recommendations for Enjoy Mie in Kensington, we're on it. 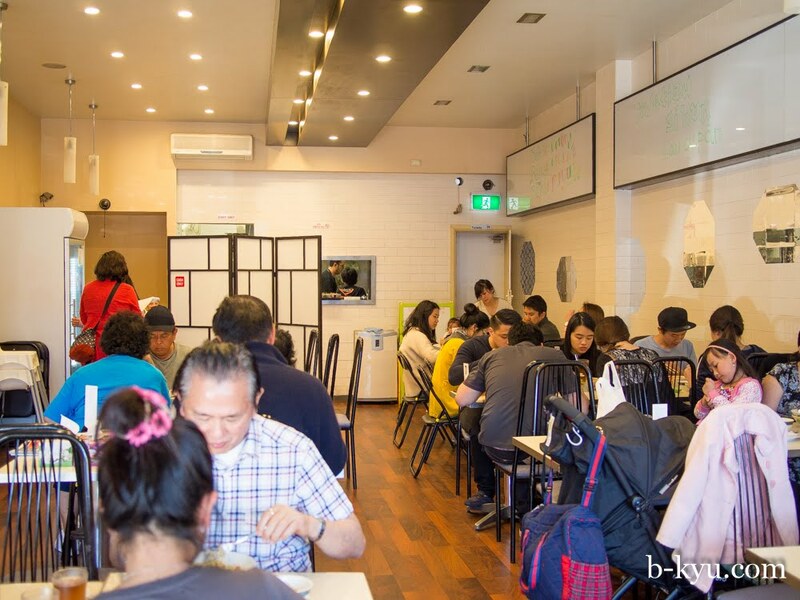 Enjoy Mie is packed and buzzy when we visit, we're lucky to get the last table. The menu is short and sweet, mostly noodles and a few sides, which is a good thing, best to do a few things and do them well, wethinks. As always in Indonesian joints the staff are friendly and the customers are chirpy, this bright open space is a pleasant place to be on a sunny Sunday afternoon. We dig. 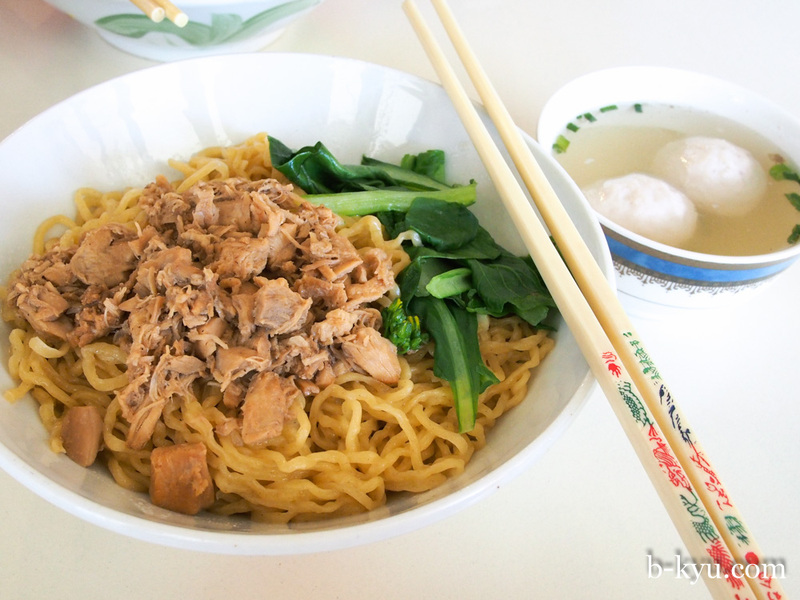 Mie baso cumi - noodles with dice chicken, bok choy and squid balls - $10. This is a great bowl of chicken noodles: egg noodles are cooked well with a soft bite to them, and they get that buttery flavour towards the end of the bowl, most likely from being coated with a little fat, perhaps chicken fat. A clear soup is served on the side as per usual, with a couple of squid balls. The squid balls actually taste like squid. Who would have thunk it? 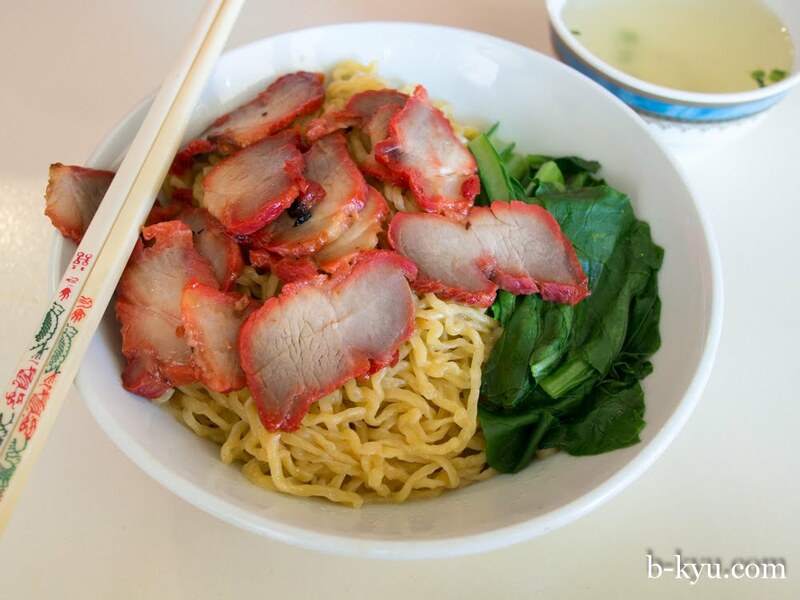 Mie babi merah - noodles with BBQ and bok choy - $10. Sweet Chinese style char siu\bbq pork on top of the same egg noodles, with a plain soup on the side. We both seem to like eating about half the bowl of noodles dry, then pouring the soup in to loosen up the noodles. At Indo noodle joints it's pretty much mandatory to get something fried on the side. We usually go for bakso goreng, fried balls of mystery meat. 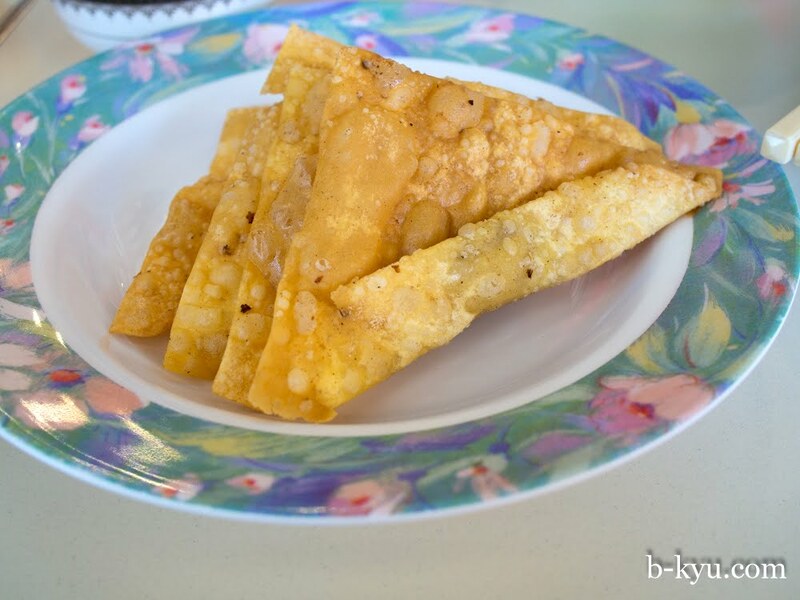 Today we go for pangsit goreng - fried wontons - $1.50 each. Of course a deep fried wonton tastes good, the pastry gets all crisp and crunchy and there's a surprise bubble of moist porky filling to counter the lard. Enjoy Mie menu - click to enlarge. 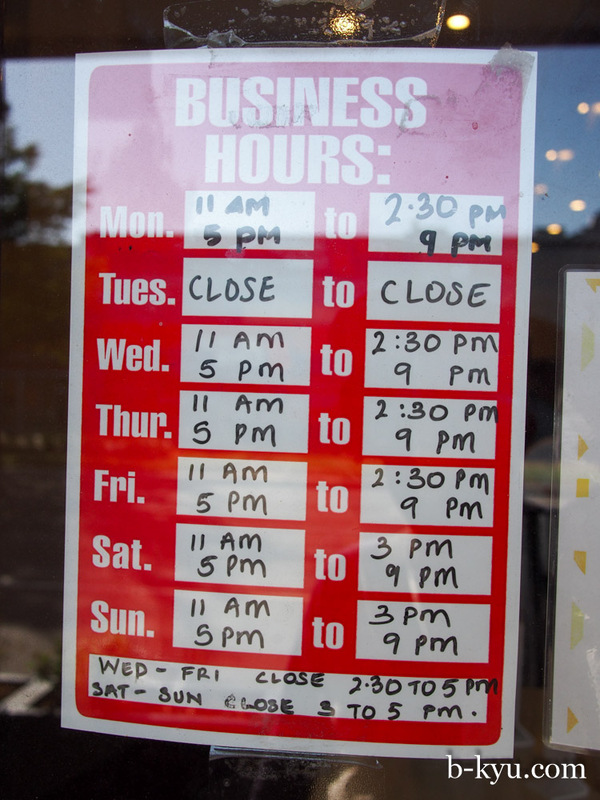 How come nearly every Indo restaurant in Sydney is closed on Tuesday? One of life's little mysteries. 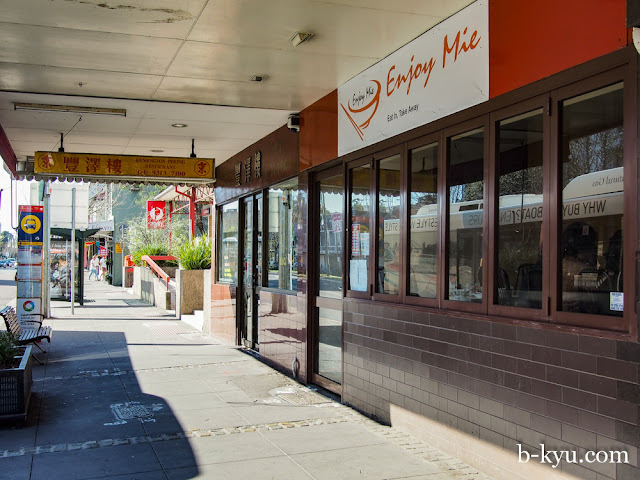 Enjoy Mie is at 174 Anzac Parade, Kensington. Phone 02 8542 5103. We'll be back soon for more noodles and a nasi tim. And we'll take pictures of it, it's a weird compulsion. 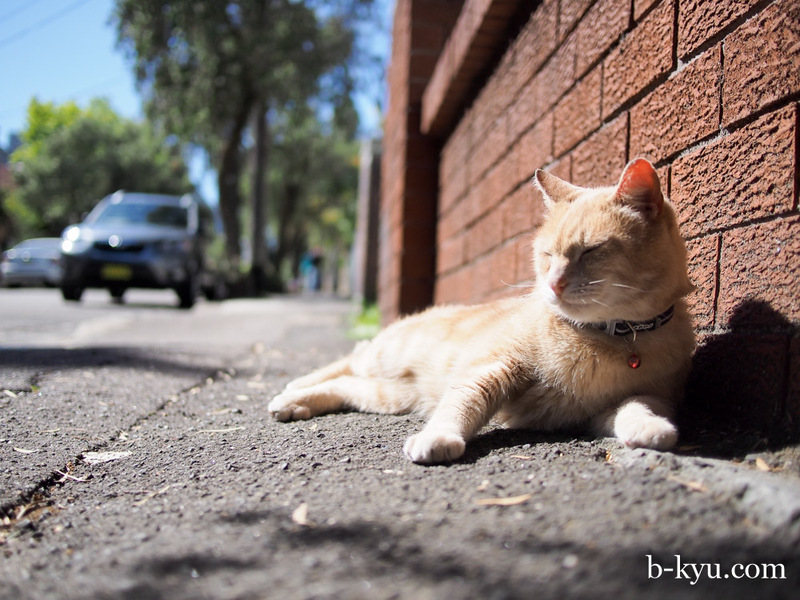 This post was brought to by Mr Toned Abs of Newtown, asleep on the job as always. You're spot-on about the "nasi tim" or chicken steamed rice. 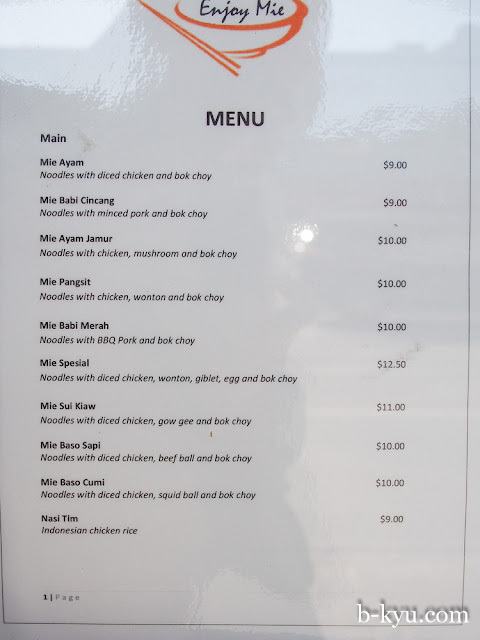 This is a very rare menu items in other Indo's joints, even more rare are the ones prepared nicely like the ones at Enjoy Mie. 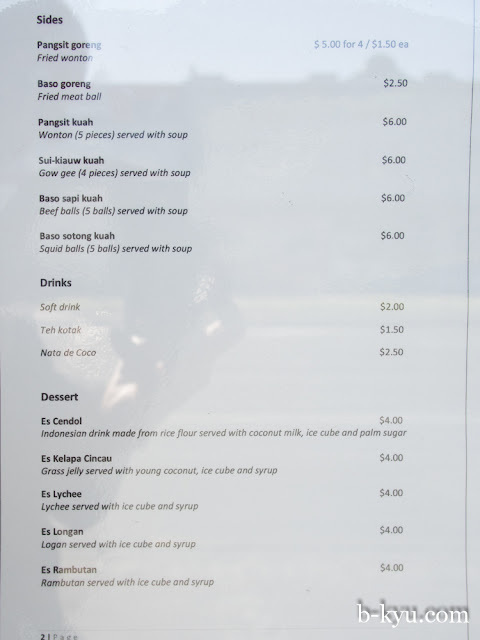 Next time you can also try their fried meat-balls or "baso goreng" and their "lo cu pan" which is unlisted on the menu. We saw a few other items written up on the wall, the lo cu pan was there too but they didn't have it going. Nasi tim is high up for our next visit. one of our favourites we miss from the now closed Cafe Joy in Chinatown.